Slammers has access to the most popular brands like Wilson, Rawlings, DeMarini, Louisville Slugger, Marucci, Franklin, Mizuno, etc. with discounts for Slammers members. Most vendors open their new lines for 2018 in the Fall, and Slammers will have the ability to order these NEW items/equipment very soon. If you have any personal requests or need assistance, please contact Daryl or Kyle @ Slammers by calling 847-816-6572 or click to email. Come to Slammers during one of the "Bat Demonstrations" that will be available in November and December to view new products. Slammers and the following manufacturers representatives will be available during the following times, in which you will get to see, swing the NEW lines of bats and hold the new gloves from each of those vendors have available now for 2018. The Mizuno NIGHTHAWK Hybrid is precisely engineered with patented 2-piece LINK™ construction that combines an innovative multi-thickness alloy barrel with a composite handle to reduce vibration. ONLY one 33/30 bat left in stock. This single piece alloy design features a huge sweet spot and a balanced feel. No matter where it hits in the lineup, it brings proven performance time and time again. ONLY two 27/16 & two 28/17 bats left in stock. The 2017 Rawlings VELO has earned a reputation for being one of the lightest and fastest swinging baseball bats on the market from year to year and the newest version backs it up. ONLY two 32/27 bats left in stock. The CAT7 has a precision-balanced barrel with lower MOI and one-piece alloy design offer a clean, consistent swing to control the wrath of this ultra-responsive rainmaker. ONLY one 31/23 and three 32/24 bats left in stock. The 2018 Rawlings VELO is equipped with a ton of speed and great bat control. With a stiffer handle, and the lightest swing weight thanks to our Comp-Lite™ Endcap, this bat is a constant favorite for those looking to catch up to faster pitch speeds. ONLY four 31/26 and four 32/27 bats left in stock. Equipped with a ton of speed and great bat control along with a stiffer handle, and the lightest swing weight thanks to our Comp-Lite™ Endcap. This bat is a constant favorite for those looking to catch up to faster pitch speeds. ONLY one 31/28 & three 33/30 bats are left in stock. The CAT-8 (-5) is a USSSA certified, one-piece alloy bat built with AZ105 super strength aluminum alloy meaning thinner walls, higher response rate, and better durability. 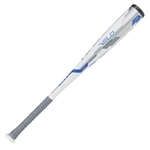 The CAT-8 (-8) is a USSSA certified, one-piece alloy bat built with AZ105 super strength aluminum alloy meaning thinner walls, higher response rate, and better durability. The CAT7 is upgraded with the new AZ4X alloy, the strongest alloy in the Marucci arsenal, and a sweet spot twice as large as its predecessor, the CAT7 is built to explode with unrelenting fury. ONLY one 33/30 & two 31/28 bats are left in stock. This bat combines all the pop of the high-strength AZ4X alloy with the look of Marucci partner Buster Posey’s in-game model. One-piece alloy masher which delivers explosive performance with an extended barrel and more responsive sweet spot. Power hitters love the end-loaded feel and ultra-responsive barrel of the CAT8 Connect BBCOR, a two-piece hybrid bat featuring a power-loaded barrel built with AZ105 super-strength aluminum alloy. ONLY one 33/30, two 32/29 & two 31/28 left in stock. The CAT8 BBCOR is a one-piece alloy bat built with AZ105 super strength aluminum alloy meaning thinner walls, higher response rate, and better durability. One of the lightest-swinging Half and Half™ models on the market today, the Voodoo Balanced features an X14 Alloy barrel construction with a thinner wall design for a balanced swing and maximum pop. The CAT Composite (-5) is a USSSA certified, two-piece composite bat constructed with the maximum barrel length offering a longer surface area and wider sweet spot. The CAT Composite (-8) is a USSSA certified, two-piece composite bat constructed with the maximum barrel length offering a longer surface area and wider sweet spot. More pop, distance and a faster, lighter speed with the redesign of the Q4 technology with a NEW inner barrel yielding a larger sweet spot and a faster, more balanced swing for optimal offense.